Professor Keiko Torii (Principal Investigator of ITbM) and her research group have developed synthesized auxin-cvxIAA. 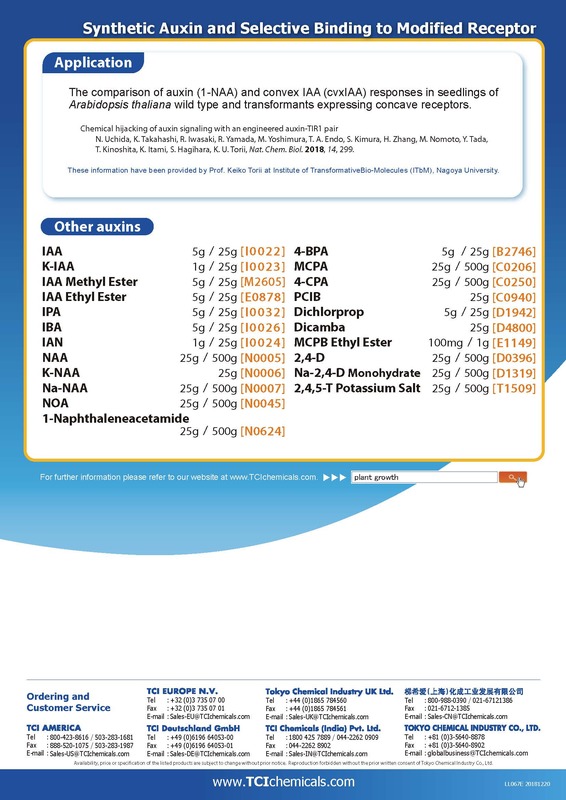 Based on the research result, cvxIAA was manufactured by and is now commercially available from TCI. 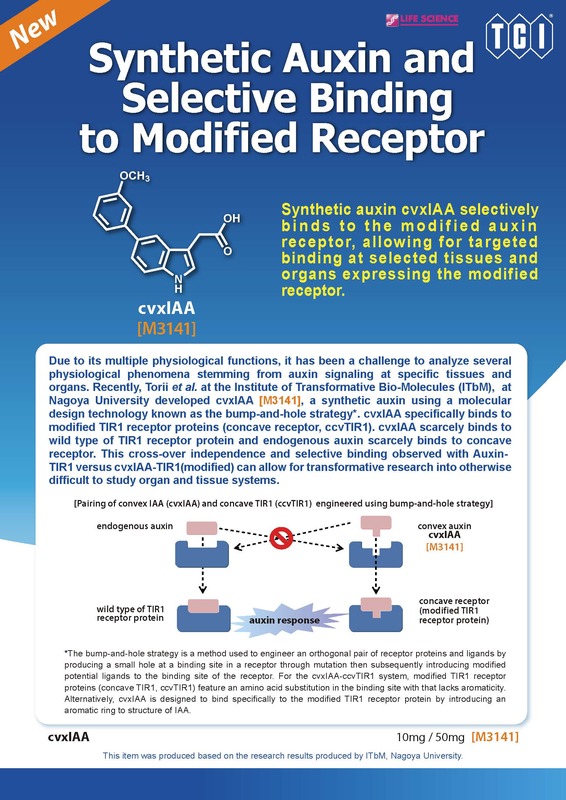 cvxIAA is a synthetic auxin which binds specifically to the modified TIR1 receptor protein (concave TIR1, ccvTIR1) and was developed through a molecular design technology known as the bump-and-hole strategy.